Many of my friends in life have come and gone, and I guess it’s sad, but that’s the way the overbaked cookie crumbles. The very best ones stick around, though, and I express my appreciation the best way I know how: rampant consumerism. Do I buy most of my friends? Heavens, no. But two of my pals, good old Ben and Jerry, like it when I spend my hard-earned cash on them. So I try to be a loyal buddy. No, I didn’t cut off in the middle of the sentence. That’s the flavor. But we all know that expression ends with the words “kitchen sink.” In baking, that’s a term we use to describe the scientific process by which we take all the leftover crap in the house, dump it into a batch of whatever, and call it a night. So here it is, folks! No, not the same kind as Ben and Jerry. 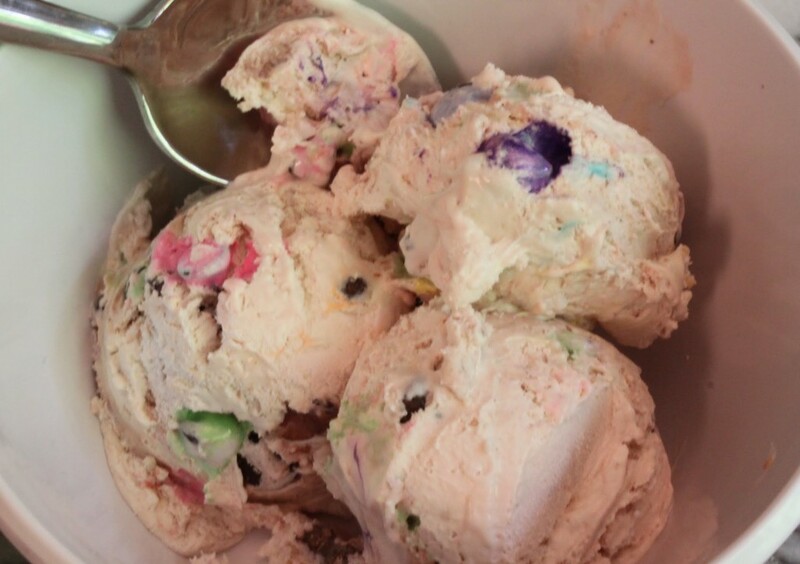 I had a bunch of stuff in my freezer (M & Ms, chocolate chips, rainbow chips) and they all went into the ice cream. But since the base is vanilla, add whatever you want! Caramel. Peanut butter cups. Brownie chunks. Sprinkles. The field is yours. Play away! 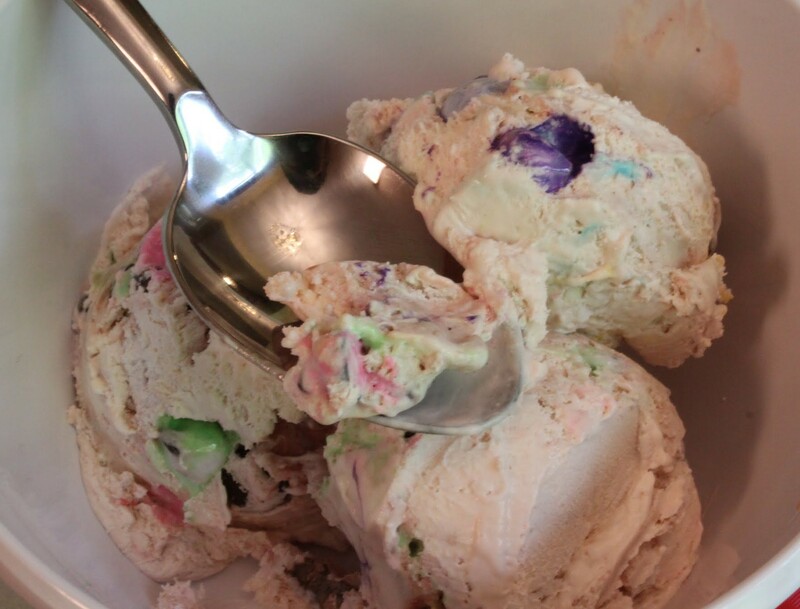 The best part about this ice cream is that it comes together in two seconds. If you don’t want to use Cool Whip because you are a snob, then just use heavy whipping cream. You’ll have to whip it, by the way. I use light Cool Whip here because it’s easy. I like easy. My kids like this stuff. It’s colorful and full of candy that bleeds color everywhere. And it’s ice cream. Case closed. Seriously, is any time of year better than this? What beats ice cream? Really. What? Summer is the time, folks. 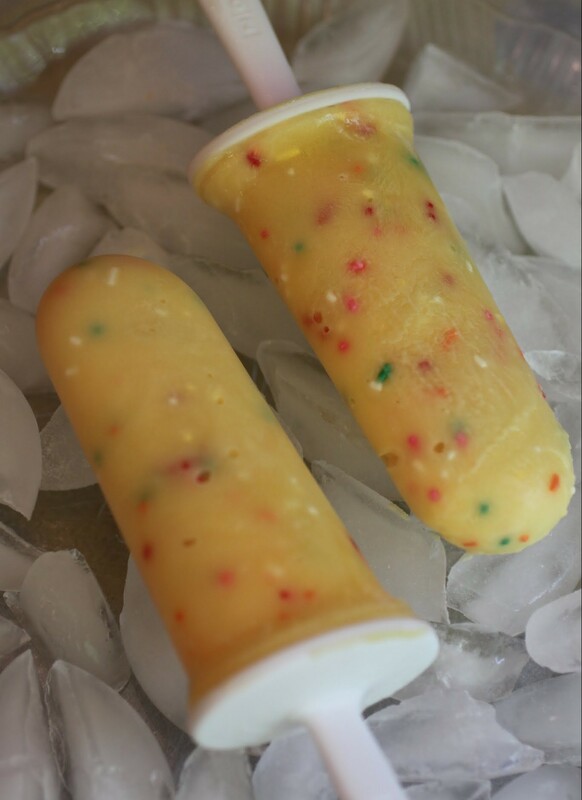 Eat the cold treats while you can! And stay tuned for my Beach Week next month. I’ll be posting boardwalk-themed treats based on my delightful experiences at the Eastern Shore. But for now, I hope this ice cream hits the spot! 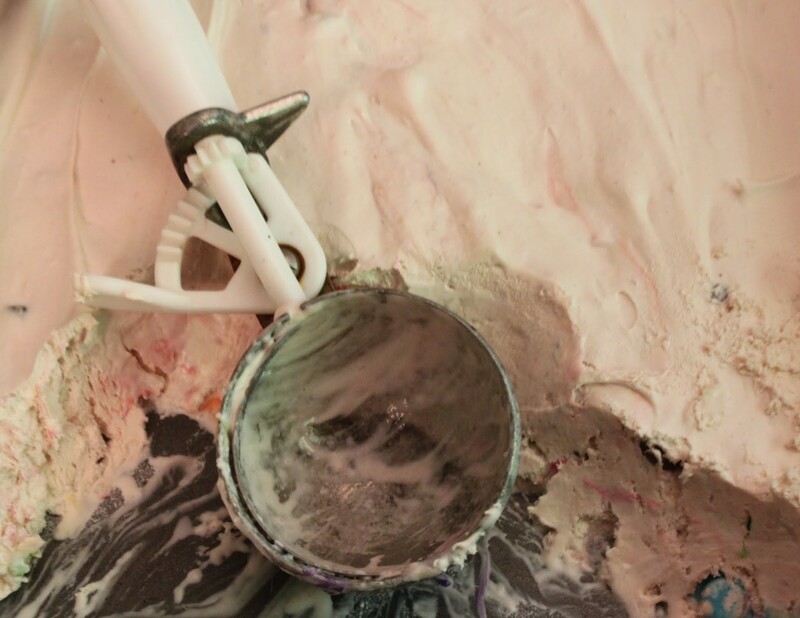 In the bowl of a stand mixer, beat the cream cheese until smooth. Gradually beat in the condensed milk. Take the bowl out of your mixer. Add the vanilla and mix-ins, and then slowly fold in the Cool Whip until everything is combined. Put in a freezer-safe container or pan, cover, and refrigerate overnight. Enjoy! Today’s my birthday, y’all. And I’m not taking the day off. Too many good desserts to share, too little time! If you recall, a few days ago I turned my nerd on and explained why time passes faster as we age. Because of that unfortunate phenomenon, I’ve come to an important resolution. This past week has been my family’s annual beach week. We go to the Eastern Shore with all of the family and enjoy time in the sun, sand, and amusement parks. While I was riding on the merry-go-round at Funland earlier, I realized that there’s only one thing I can do to stop time from moving so fast. Ready? This is the last week of classes! Hurray! Hurrah! Yes, in answer to your question. Teachers are much more excited about the end of school than the students. For two months, we can keep normal hours and not spend our days talking kids into learning. Sounds like a win to me! And let’s not forget the ice cream. My summers are spent with ice cream. Whether I’m eating it straight up or incorporating it into another dessert, life is grand. 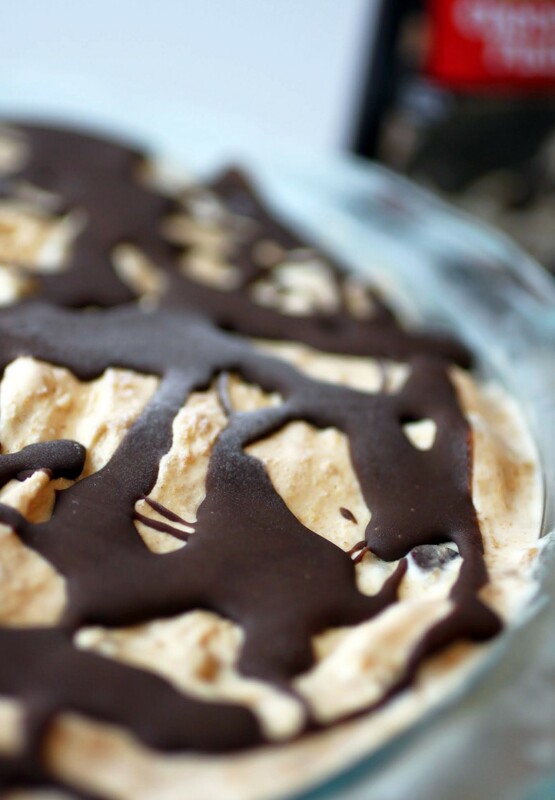 This frozen peanut butter ice cream pie is made with Blue Bunny® Homemade Vanilla ice cream, and you will not want to miss one bite! I’m an intermittent fan of Ben & Jerry’s too. Sometimes I love it, sometimes it’s eh, ok…depending on the flavors! I love this ice cream, Mir! I actually made this no churn version several months ago, but just used fudge. I also just made some a few days ago with a ton of mix-ins, although yours is prettier than mine. Isn’t this so easy to whip up? 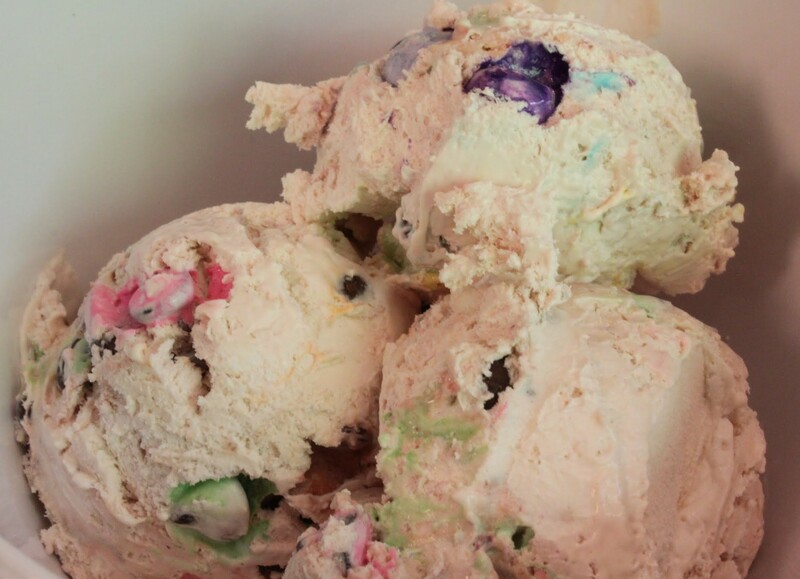 I love how colorful your ice cream is….and I’m sure your kids devoured it! Totally agree with you! I love some of their flavors, while others (Americone Dream, for instance) are pretty ordinary. But man, those good flavors are worth it! Thanks! It got really colorful. But I’d love to try it your way, with fudge! My family loves ice cream. I’ve been meaning try this recipe with the condensed milk and the cream cheese too. Two of my favorite ingredients! Love all the things you put into yours. 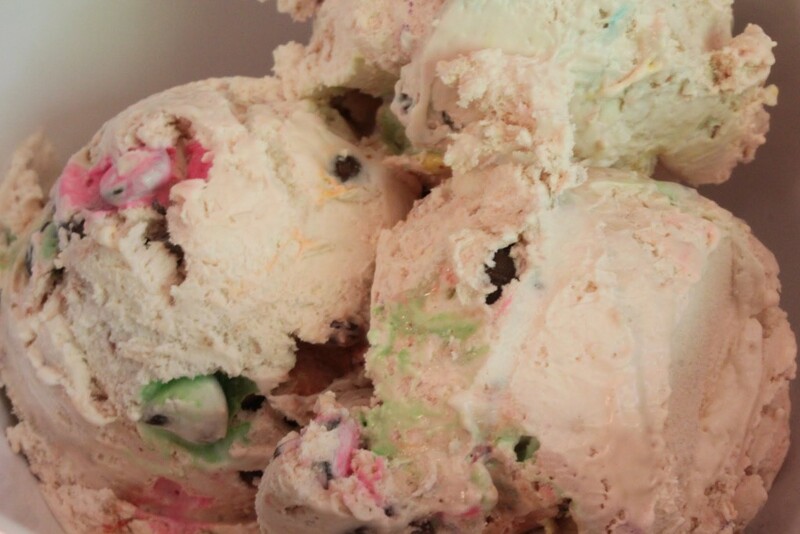 My kind of ice cream has chunks of “stuff” mixed into it. Yum! Thanks! Condensed milk is soooo good. And I’m with you on mix-ins. The more, the better! Machines are so big and bulky! This way, everyone’s happy and you have cabinet space! Thanks! You got it Mir! 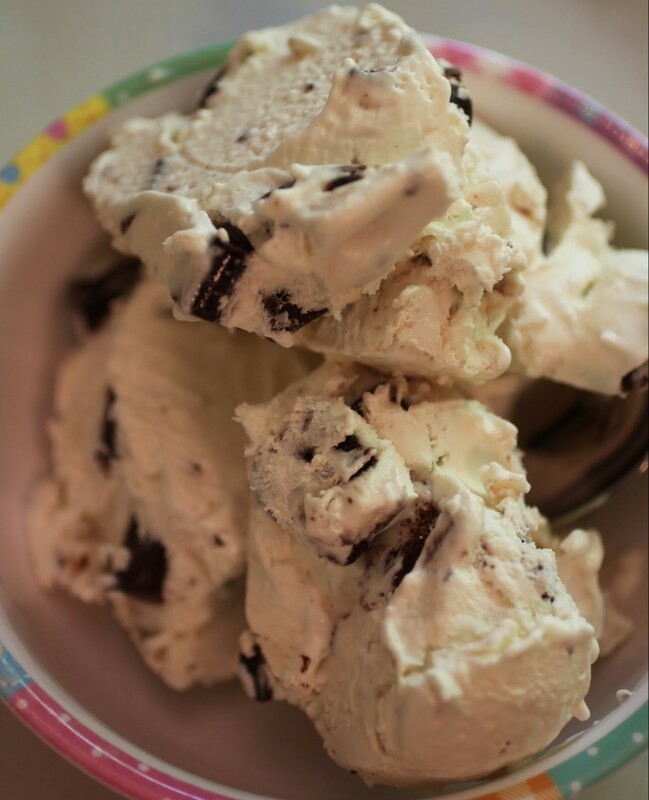 Case closed for sure – ice cream for the win! Haha, I have two buddies with those names too … coincidence? 😉 I’m all over customizable ice cream! Yay! We have the same friends! And they’re so delicious! Now this is my idea of a good use of leftovers! Totally. Ice cream from candy? Fun and more fun! That’s a great idea and an extremely yummy one too! Thanks for linking up to Sweet and Savoury Sunday, stop by and link up again. Have a great day!! Sounds great to me! The more flavours the merrier! I see we think alike, Julia!